Home Articles Frustrated Because Your BJJ Progress Is Stalling? Frustrated Because Your BJJ Progress Is Stalling? Progress in general in Brazilian Jiu-Jitsu is a very tricky subject. A lot of factors have a role in how fast a person journeys through art. Of course, the first thing to mention is individuality and the ability to grasp grappling as a whole. Furthermore, it is the instructor, training partners, curriculum, motivation and a host of other factors. There are also unpredictable ones, mostly connected to things that happen outside of the gym. All of this means that BJJ progress is bound to stall for everyone at some point. The important thing is not letting it steer you away from the BJJ lifestyle that you love so much. Learning new things is not an easy thing to do. In most cases, learning is not a pleasant experience for people (think school) and we develop sort of a resistance to it from an early age. For some, this changes throughout the years, as they find their true passion. For people that get into Brazilian Jiu-Jitsu, this is almost guaranteed. BJJ has an addictive side to it and takes over peoples lives very easily. As such, it turns into something people really enjoy doing. And learning is the whole point of Jiu-Jitsu, so now, people love the fact that they’re learning new things. Until they hit a plateau and their BJJ progress stalls. Learning to deal with this is as important as anything you’ll learn in BJJ. BJJ progress plateaus are common and nobody is spared from them. Yes, even those black belts that were promoted in 3 years or less went through this phase. It is a part of the learning process and in essence, is only one more challenge to overcome. The sooner you approach it as such, the better the outcome is going to be. To begin with, BJJ is a very, very complex martial art. Only the names of techniques are enough to keep people guessing, let alone the sheer number of moves. And then there are the details. Every technique has countless details, and each time you go over one, you discover new things. This is normal, as perspective changes as you progress, but is also an “enemy” of BJJ progress. It keeps things in motion, never letting them set, which can cause trouble in the learning process at a certain point. Furthermore, there’s the aspect of free sparring or rolling. Rolling is entropic affair by trait and the ultimate goal is to try and control it as much as possible. Controversial, I know, but it’s the nature of our sport. Rolling promotes free thinking and adding an individual touch, which can further complicate things. No wonder people get stuck after a long run of continuous BJJ progress. It should be noted that white belts are more or less spared from this conundrum. It’s a thing that affects higher belts, meaning experienced blue belts and above. One thing that often leads to stalling is saturation. Everyone likes to work to their strengths which often leads us to specific directions in BJJ. For example, going for an armbar from mount. The more you do it, the better you get at it. But, also, them ore you do it, the faster your training partners are going to figure it out. At one moment, all your progress with the move is going to stall because you’re overusing it. It’s not that there’s nothing new to learn about the armbar. It is about the fact that you are not open to new information at that moment. This is what a stall is. So, now that we know how progress tends to stall in BJJ, let’s see what we can do to overcome it. There’s no point in moaning about and feeling sorry for yourself. Since a progress stall has some main factors behind it, we can look to solve it by addressing all of them. It is unlikely that multiple factors play a huge role in your training plateau. It is more likely that only one major factor is responsible and the trick is identifying it correctly. Before we move on to the solutions, let’s just mention the side effects. Trying to push through a plateau by just doing the same thing over and over, hoping it would pass is a great way to alienate yourself from Jiu-Jitsu. staying on the pat of stalling is inevitably going to lead to burnout. Not to mention all the frustration that tags along. All of this is more than enough to make you hang your Gi and never look back. 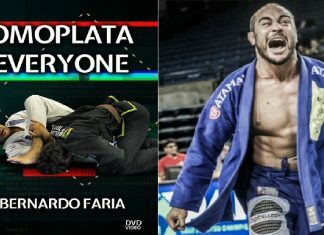 SO before you start hating BJJ, give yourself a chance to fall in love with it all over again. The way you approach a BJJ progress stall is the first and main step to overcoming it. Hating every minute of sparring because things do not work is not a solution. It’s jsut like riding a stationary bike – you’re moving but you’re not going anywhere. Instead, the focus should be on the problem itself. Much like during rolling. You must not let frustration get to you. yes. you’ll be angry that suddenly all the things you worked on don’t seem to work anymore. But recognizing that you’re in a plateau is crucial to getting out of it. The solution is easy and basic – don’t sweat about it. Instead of feeling sorry look into what’s keeping you there. In most cases, it’s the same things for most people. Sticking to fundamentals is never a bad idea. Just take a look at KurtOsiander. The legendary ‘Rhino’ has a very basic, yet super advanced BJJ game. Now, he shares his training methods with you in the “Fundamentals Of A Jiu-Jitsu Renegade” DVD set. Available in digital and DVD format! Before you goa bout solving everything yourself, remember that there are people in the gym that know what you’re going through. It is going to take them time to recognize it though, so make sure to speak up when you first notice a stall. Your instructor should be teh first person you go to. If not, than any of the more experienced training partners will do. The trick with Jiu-Jitsu is that it looks much different from a first-person perspective than from the outside. So, if you’re problem lies in technical areas (which n most cases is at least partially true) your instructor is going to see it instantly. All it’s going to take is for them to see a roll or two. From there on, you need to listen to what they have to say. Yes, that means even if you do not like the answer. Let them guide you towards a solution and you’ll be back on track in no time at all. The one advice you’re most likely going to get from instructors/training partners is to open up your game. This is a more general approach to things but is one that works nonetheless. Focusing on one thing only results in tunnel vision. Why keep forcing the armbar when there are wristlocks, chokes, back takes and even leg locks available off it? Taking a step back to see the whole picture is great. How do you go about doing this? SImply go for a roll without putting pressure on yourself. No expectations mean you’ll have no disappointments either. Just look to roll and do whatever you think you should. Yes, you’ll leave your comfort zone and you’ll tap more often than before. But you’ll learn that there are other things out there and you’ll be back dominating before long. It’s how learning is done. If you’re the stubborn one in the gym though, and you can’t seem to open up there’s a different approach. It also works for those that are already well into burnout. It’s the one advice nobody wants to hear but it works – take a hiatus. Yes, stop going to the gym. But not only that. Stop looking at Youtube videos, dealy watching the latest EBI for a while and just take a week or two off Jiu-Jitsu in general. If you’re a BJJ diehard, make sure you leave town and force yourself not to pack Gi for a visit. Simply take your significant other and go for a rest for a week or two. You’ll get a break from BJJ, daily life, work and all the routines you have. This is going to allow you to look at things from a fresh perspective and figure out a way around your BJJ progress stall. Finally, make sure you understand that it is inevitably going to happen again. At a certain point, you’re going to fall into habits again, and you’ll stall. It might be a completely different movement or concept this time, but you’ll need a restart regardless. However, once you go through a plateau for the first time, you’ll at least know what you’re in for. Just remember to stick with it and not just quit. That’s not a solution. Do not be stubborn or look for ways to power through things. Take the smart approach instead and do not even consider leaving Jiu-Jitsu for good as an option. Because it isn’t. 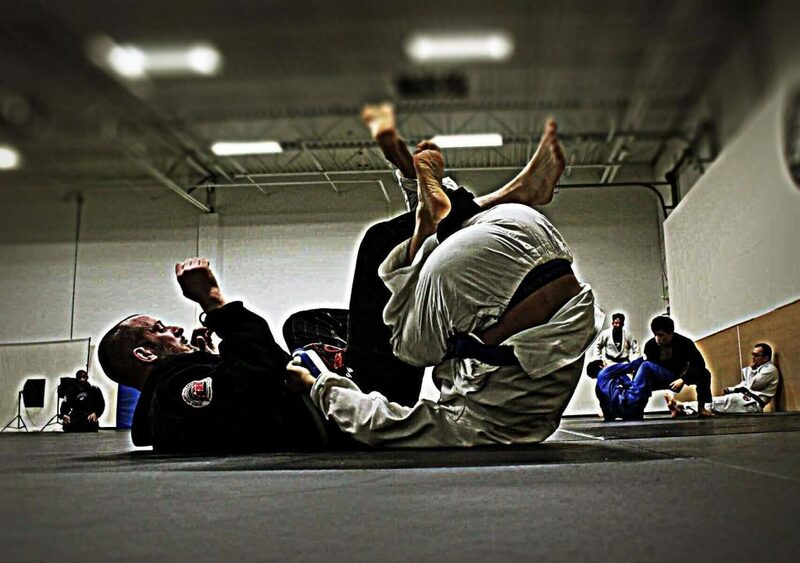 Stalling In a BJJ Match – Legitimate Strategy Or Cheating?